Karen founded the Red Bandana Design and Communication agency in her room in Rio de Janeiro, when was 22 years old. She has run it ever since, as General and Creative Director. Her clients include, L'Oréal Paris, Sofitel, Diageo, Pernod Ricard, Ellus, Kenneth Cole, La Prairie, Merck, Log-In Intermodal Logistics, Instituto Beleza Natural, Instituto Rio Moda and Pupila Material Ótico. 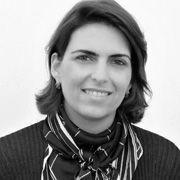 From 1996 until present, She has also been a Professor of Design and Advertising at Centro Universitario da Cidade in Rio de Janeiro and, since 2007, a Web Design Professor at Pontificia Universidade Catolica, Rio de Janeiro.